The other day I was at Shopper's Drug Mart, picking up more of my summer essentials of SPF10000 and aloe vera, when I spotted an entire chunk of aisle dedicated to Halloween candy. Halloween candy. In August. I know. Since then I've seen it crawl onto the shelves at Superstore, Costco, and a bunch of other places, too. Don't get me wrong -- any time I can buy bulk Reese Peanut Butter Cups is a happy, happy day, and if I have to pretend I'm stocking up for trick-or-treaters months in advance then so be it. My main issue here is that it's not Christmas stuff. Because if I had my way, Christmas crap would line store shelves year-round. That's why I was beyond excited to check out the awesome christmas cards at Minted. An excuse to start thinking about my favourite holiday before the other, lesser, ones have had their turn? Sign me up! Minted makes those awesomely adorable picture Christmas cards you always wish you had the time, patience, and resources to make and personalize, but instead you just stare jealously at the one your sister -- the favourite -- sent out that's stuck on your fridge. Don't be that Bitter Betty this year -- take a cue from Shopper's Drug Mart and start on that stuff now! If you're not the planning ahead type, and more of the want-lots-of-cute-stuff type, or the omg-check-out-that-adorable-stationary type, Minted still has you covered. 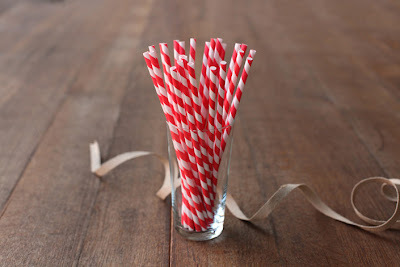 They carry the paper straws I used in my Cherry-Lime Sorbet Coke Float post, and lots of other freaking cute party and kitchen supplies. They even have kid-friendly journals and other back to school supplies that aren't plastered with Dora and Sponge Bob. Check out Minted's adorable food and party supplies, Christmas cards, and other precious party-perfect stationary and designs over on their website! 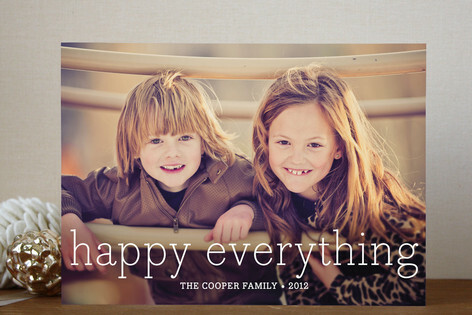 *** Disclaimer: I was provided compensation by Minted to write about their products. However, as always, any compensation received doesn't influence my opinion on the products, or the content of this blog.